Which is better sugar to use in my hummingbird feeder? Beet sugar? Cane sugar? Does it really make any difference? The short answer – NO! I guess if you are baking a cake, cane sugar would be the best choice. For ever other use – especially in a hummingbird feeder – beet sugar is just fine. The biggest reason I like to use beet sugar is that it is almost certainly an all American product. Sugar beets grow in the Midwest (quite a lot in Michigan). I like to support the American farmer over the rest of the world. I especially like supporting my state. Cane is grown in four states (Florida, South Carolina, Texas and Hawaii), but far more is grown in Brazil and other countries in Central and South America. Yes, I always have lots and lots of hummingbird feeders (15 at present); however, I always plant for hummingbirds as well. 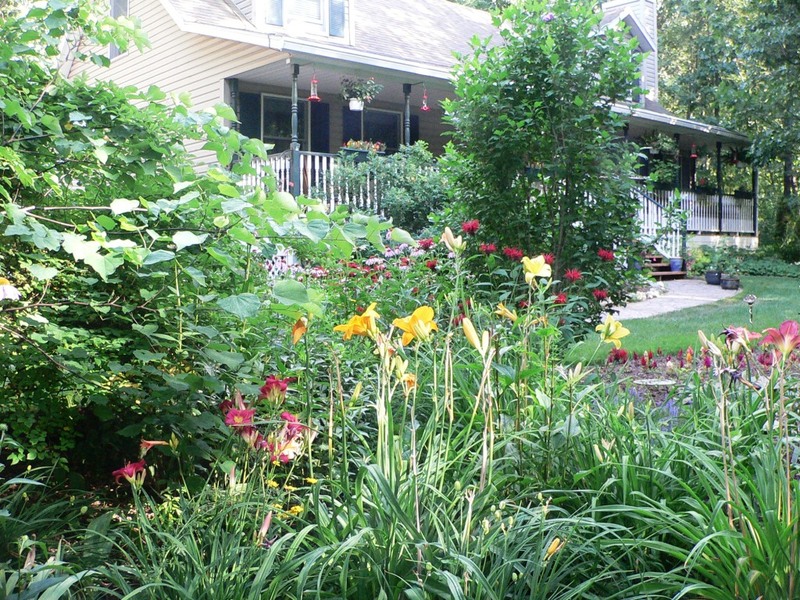 Some of these plants are very happy up here in Michigan – most are not. 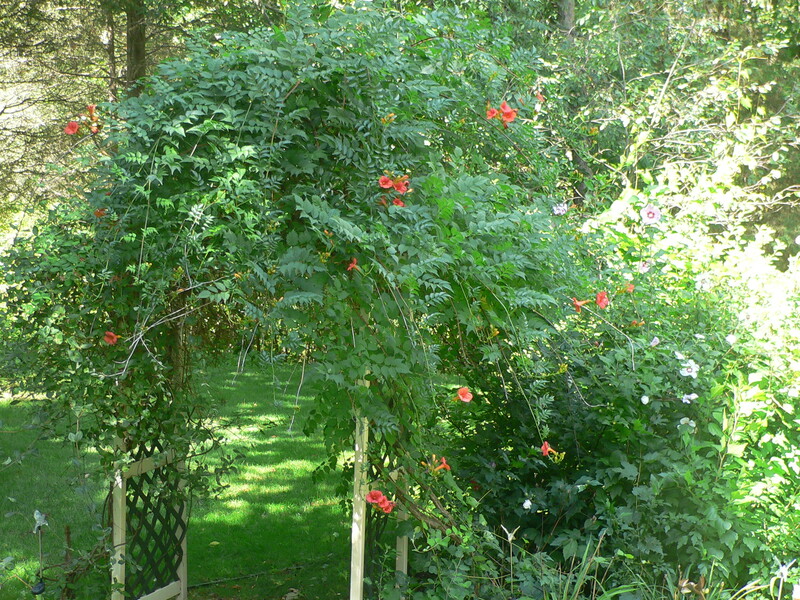 Among those that grow very well in Michigan is Trumpet Creeper. This can be very invasive in areas further south. It can get that way up here, too, but it takes a very long time. 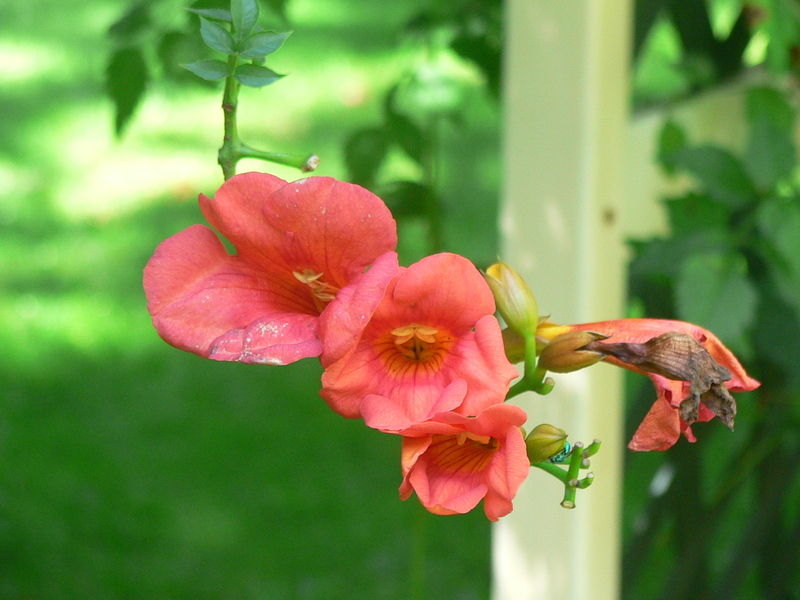 These giant red/orange blooms are full of nectar and are favorites among the hummingbirds up here. Another reason that they are so popular with our birds is probably because they do grow well and have here for so long. 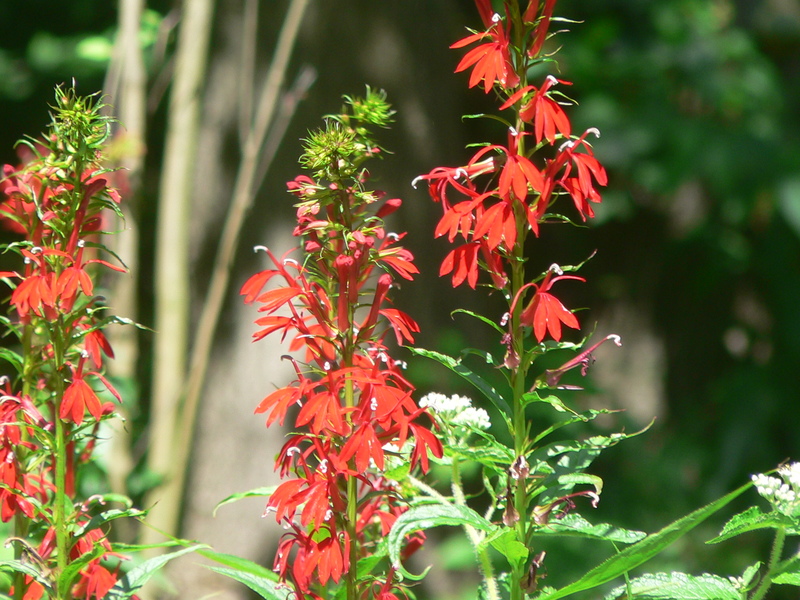 Another native that is a beacon to hummingbirds is lobelia cardinalis (cardinal flower). 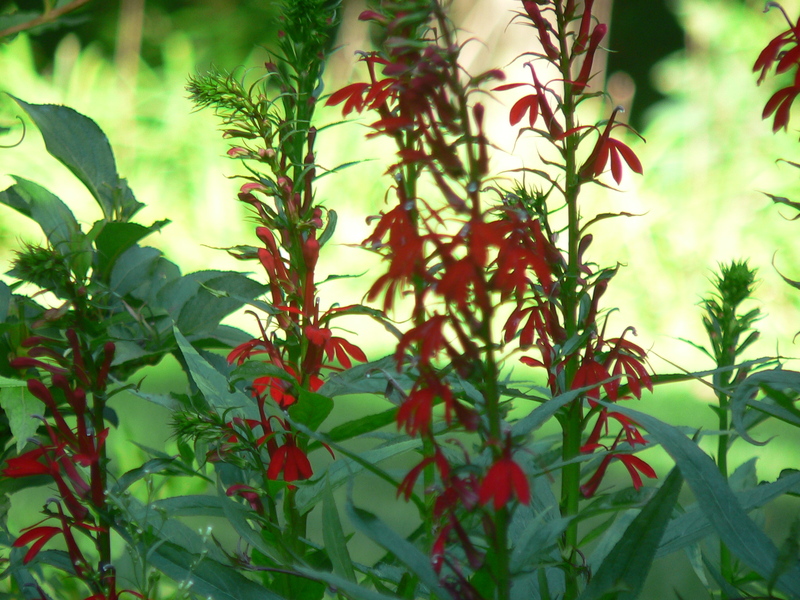 This gorgeous flower comes in pink and almost blue, but the red is gorgeous and really draws the hummingbirds. 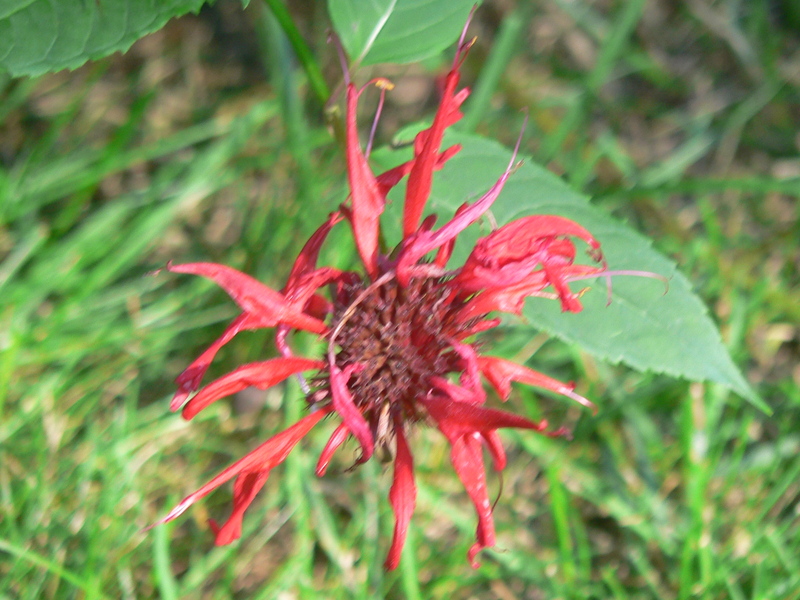 Another flower that is perennial here that the hummingbirds really appreciate is monarda (aka bee balm). We have several colors here. Right now, only the bright pink and red are still blooming. The lighter pink and salmon varieties seem to bloom much earlier here. I must mention that local columbine is a very early-flowering perennial that hummers use. 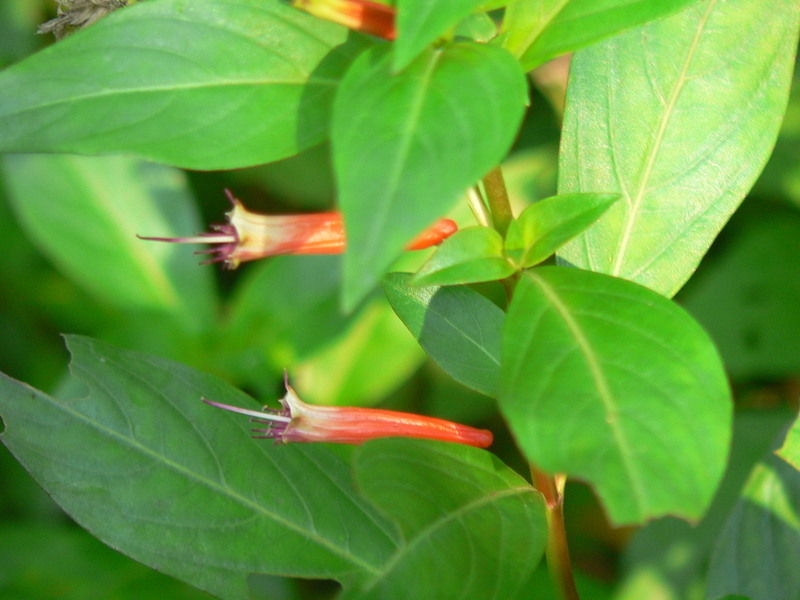 Weigeia grows well here, also, but commonly blooms in late May and early June. Surprisingly, it is re-blooming this year in our yard. Jewelweed should be starting to bloom in very wet areas. We do have some, but have never seen hummers choose that over the other plants in our yard. This beauty is my very favorite purchase every year. 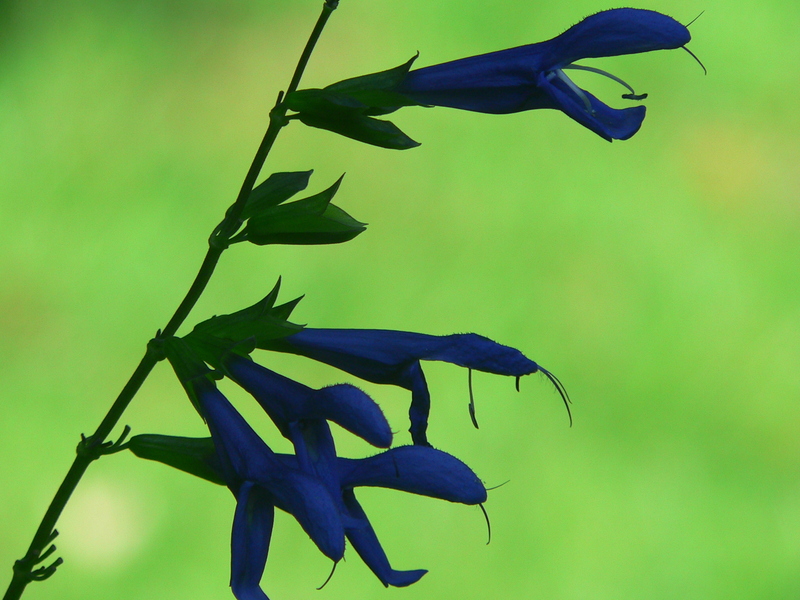 This is salvia ‘Black and Blue.’ It’s a cultivar of salvia guaranitica (anise sage). 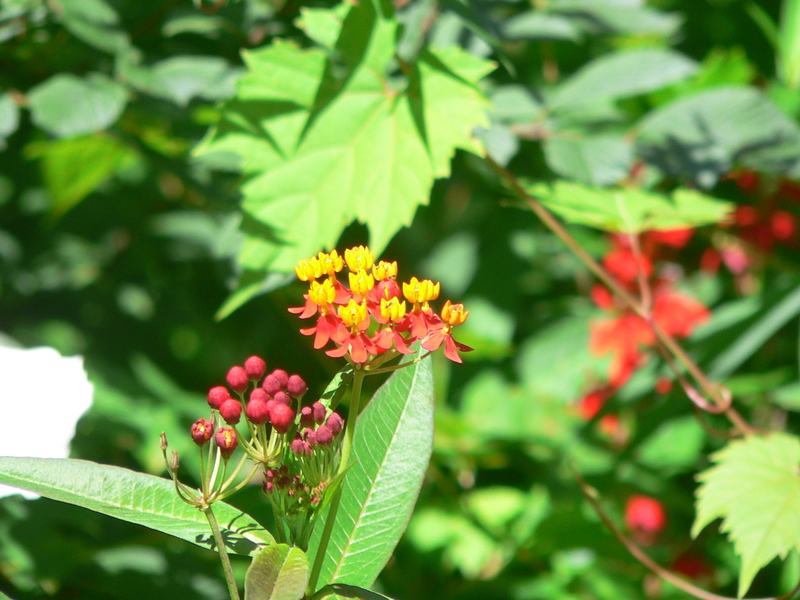 This is the plant that the White-eared Hummingbird favored. 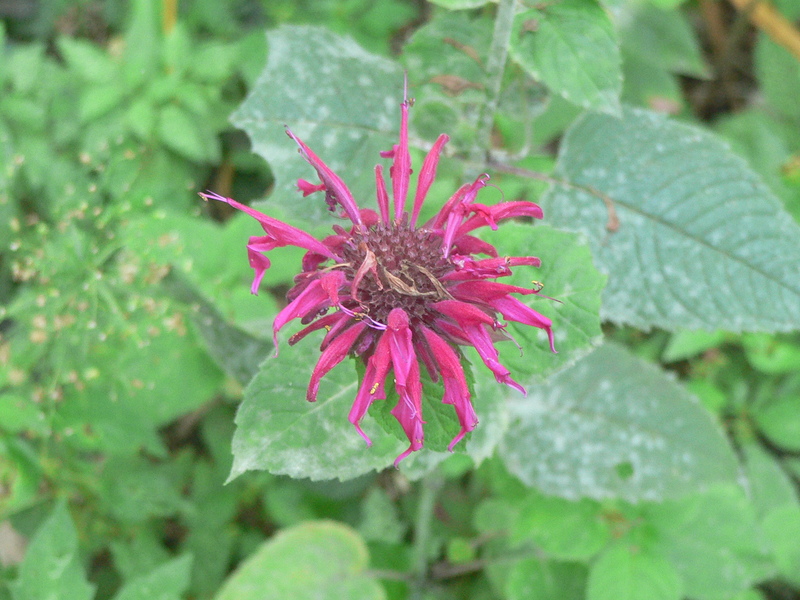 I’ve also seen more ruby-throated hummingbirds on this plant than any other (well, perhaps equally to monarda). 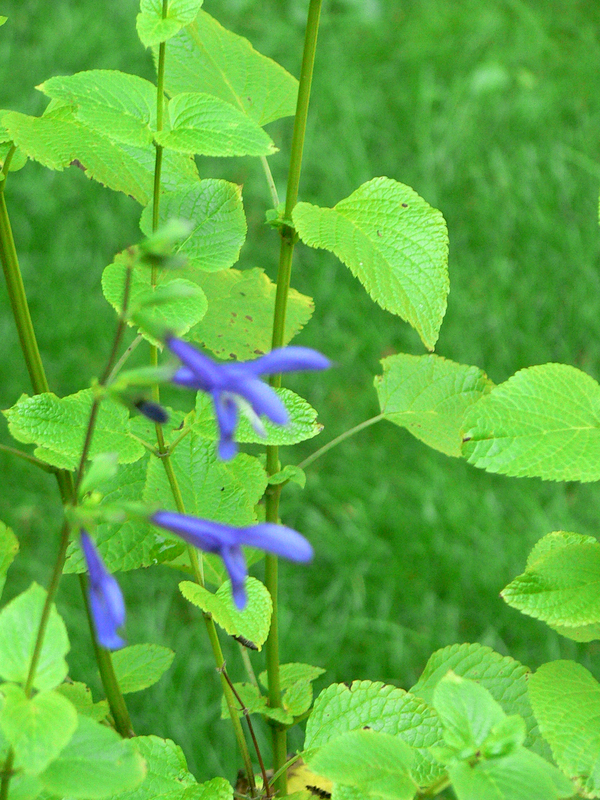 Another cultivar of salvia guaranitica is ‘Van Remsen.’ The human Van Remsen was the listmeister of one of the best hummingbird Listservs (Humnet). I’m certain it’s one of the longest lived listservs as I’ve been reading it for well over a dozen years. This salvia is really red. 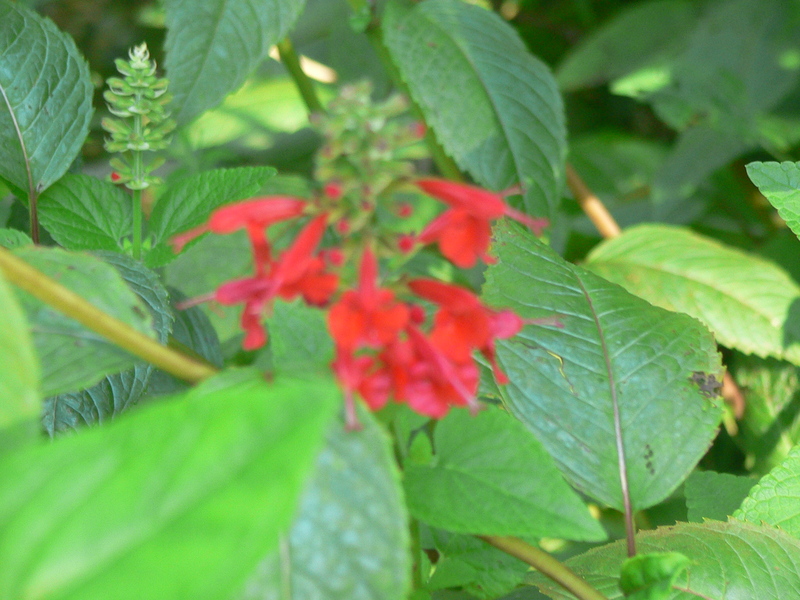 It’s ‘Lady in red’ (salvia coccinea). I really wish I had room to plant more salvia because there are so many types and they are so beautiful. That’s one of the only drawbacks of living in the woods. There isn’t enough sunny area for large beds of salvias and I can’t grow tomatoes (well, the deer would take care of those, anyway). every year for well over a dozen years (both in Georgia and here in Michigan). I’ve had it come back from seed a couple of years, but will always have it in the yard. 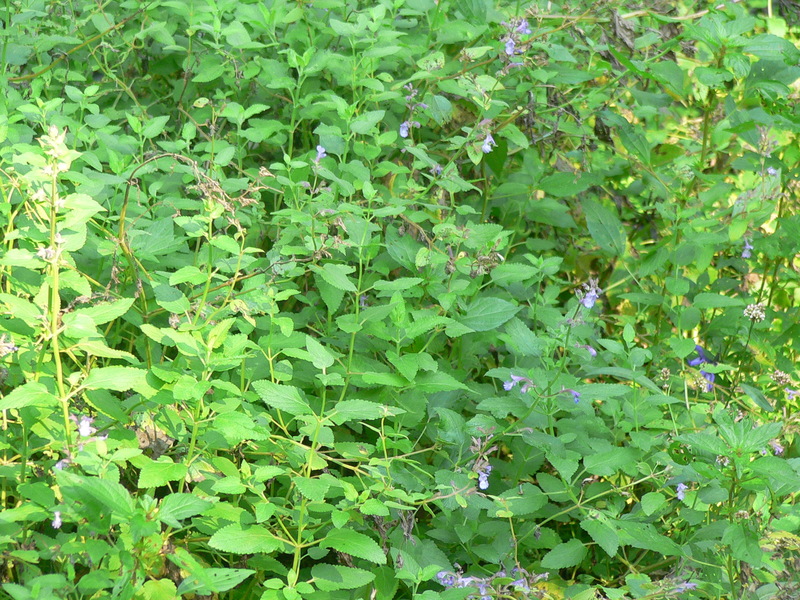 This is catmint (nepeta). I thought it was supposed to stay low. Obviously, either I had that thought wrong, my idea of low is different than the mail order house, or I got the wrong cultivar. It’s staying, although I may have to cut it back some. I have seen hummingbirds try to feed from it, but it’s really better for butterflies and bees. I also have tropical milkweed for butterflies. Native milkweed does grow in our yard. It’s a host plant for monarch butterflies, so I look for other varieties of milkweed to see what kind of cool butterflies I can attract. 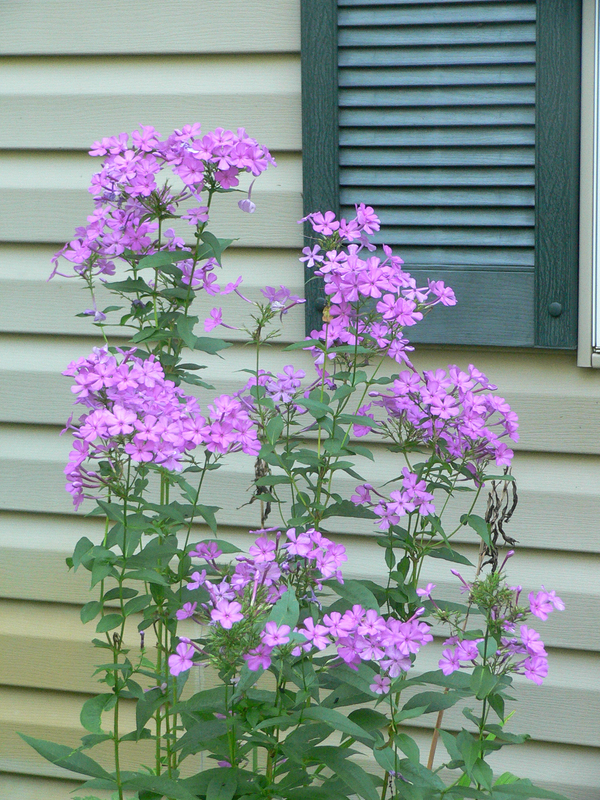 I’m including a photo of my giant phlox. Is it a hummingbird plant, too? Nope! Not really. It HAS served as a perch, but I’ve never seen a hummingbird attempt to feed from it. It’s just so PRETTY! I love this plant. It grows like this every year without one smidgen of work from me. Gotta love a plant like that. Is there a plant that you can suggest I try in my hummingbird garden? I’d love to hear from you. 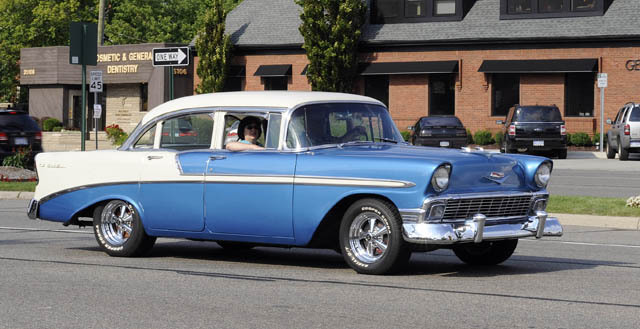 Every year around this time (August 20ish), the streets of Southeast Michigan are crowded with some of the most beautiful automobiles in the world. It’s time for the Woodward Dream Cruise. The Dream Cruise isn’t that old. It started in the mid 1990s as a fundraiser to raise money for a soccer field. Today, it’s become the world’s largest one-day automotive event. Of course, the “event” lasts for about a week before and a week after the Saturday Cruise. People come from all over the United States and around the world. Notably, past cruisers have come from as far away as New Zealand, Australia, Japan, and Europe. This year…well, who knows. 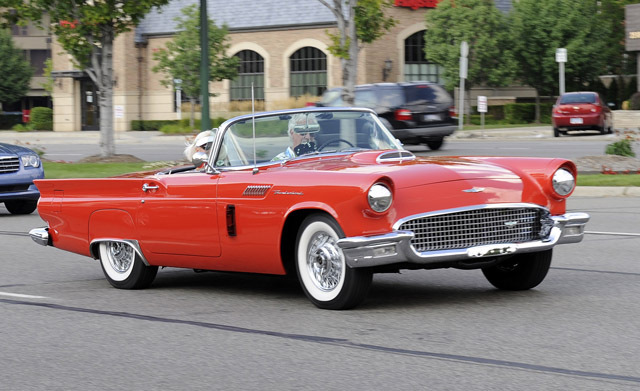 As many as 1.5 million people flock to the area to car-watch. 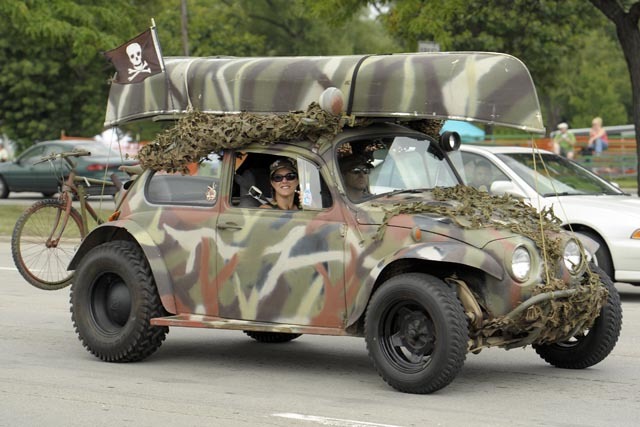 It’s so popular, local television stations air hours of nothing but Dream Cruise. The route runs to Pontiac, MI on Woodward Avenue from Ferndale, MI. This is a distance of approximately seven miles. Let me tell you, that’s the most heavily congested seven miles in the country on Dream Cruise Saturday. For days before and after, there’s no telling what exotic, antique, or just plain FUN mode of transportation you will see in the area. 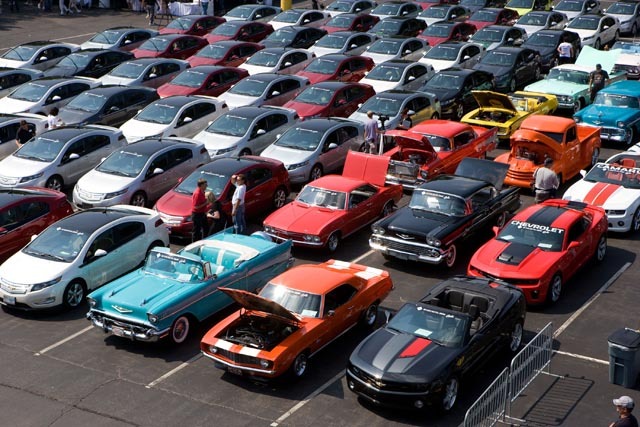 There will be Model T’s, Model A’s, muscle cars from the 60s and 70s (my personal favorites), home-builts, hotrods, rat-rods, motorcycles…This year (2011) it is estimated that more than 50,000 vehicles will have taken part in the festivities. 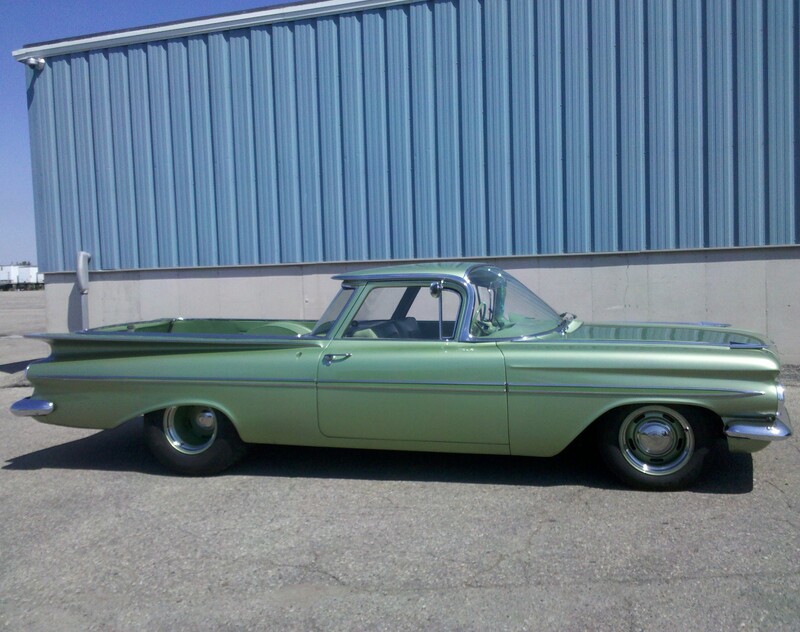 Among these are the gorgeous El Camino belonging to Pete Sanderlin (Vice President and General Manager of Kalitta Air). Pete graciously allowed me access to his car for these photos. 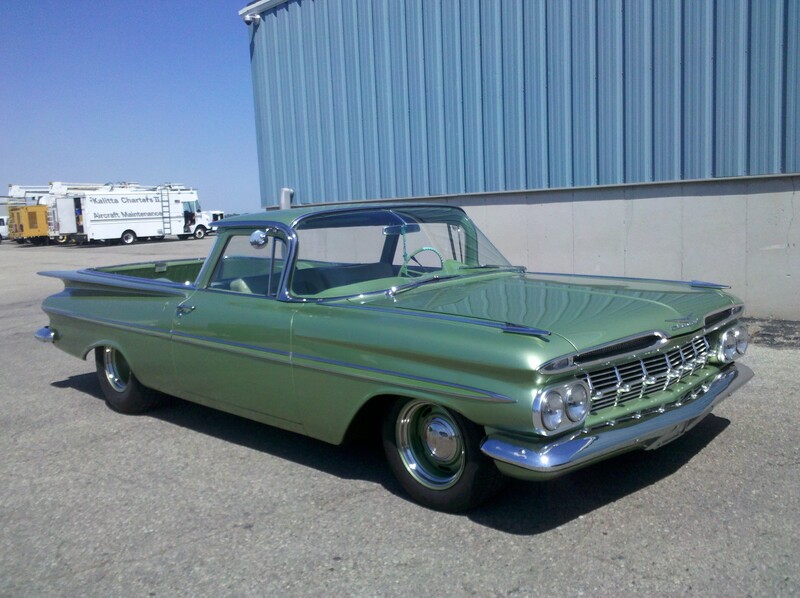 He has participated in the Dream Cruise for the past several years. 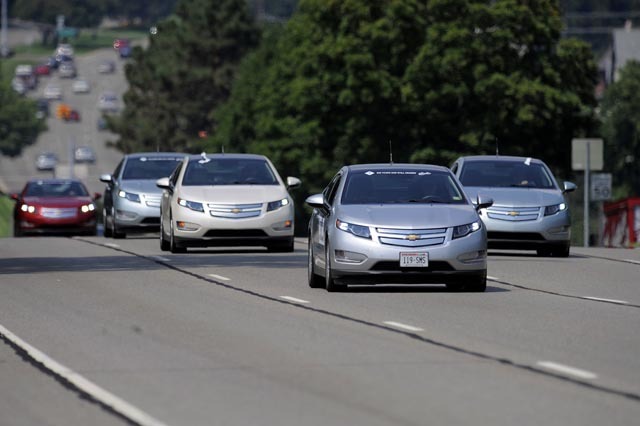 In 2011, Chevrolet is celebrating its 100th birthday. They are the major sponsor of the Cruise this year. 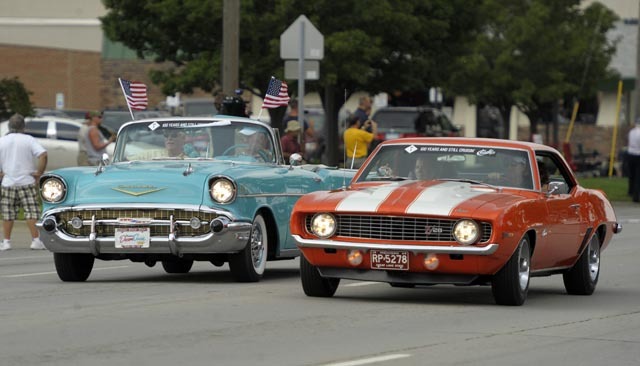 The kick-off was held with roughly 100 Chevy’s leading the parade. Jimmie Johnson and Jeff Gordon (of NASCAR fame – and in the area for this weekend’s race at Michigan International Speedway) waved green flags to send the cars on their way. The start was unusual in that there was a roar of Chevy muscle (60s era Camaros and Corvettes), followed by an almost complete silence as 50 or so Chevy ‘Volts’ rolled their electrically-powered way along the route. Then came the rest of the Chevys. They were from all years, all makes, all models. 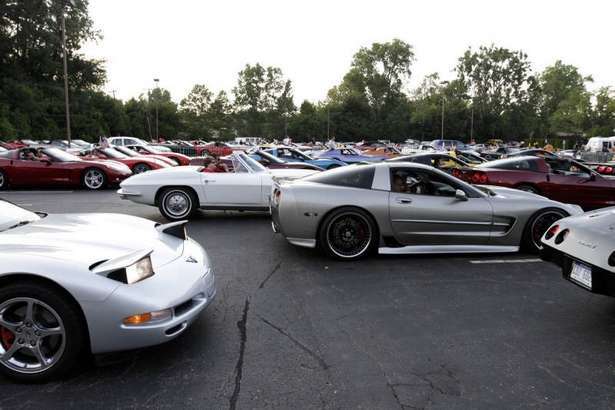 Corvettes to the Rescue: More than 400 Corvette owners among the Dream Cruisers were on a mission. They have come from all over the country and were jam packed with food. They dropped it off at the Open hands Food Pantry. The Pantry is operated by an Episcopal church. This year, a freelance videographer/part-time radio host set up www.DreamRideLive.com. 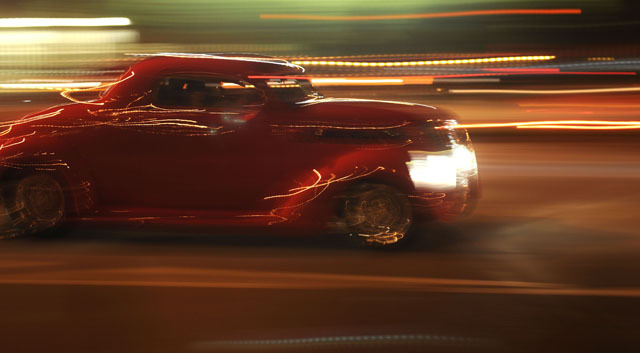 The plan – to live-stream the Woodward Dream Cruise. I’m going to check it out. Are you? Maybe you’ll put that on your Bucket List. Up Next: Check in and find out! I know I’d promised a blog on Cane vs. Beet Sugar, but two things have come up to make me put that off until just a little later. The first being that there are so darned many mosquitoes (worst year in at least twenty for Michigan) that I can’t get outside long enough to take pictures of the hummingbirds (wish they’d eat the mosquitoes – in essence, handling two things at once). The second is that Good Morning America just named “The Most Beautiful Place in America.” I just couldn’t allow that to go by without jumpin’ on the bandwagon. 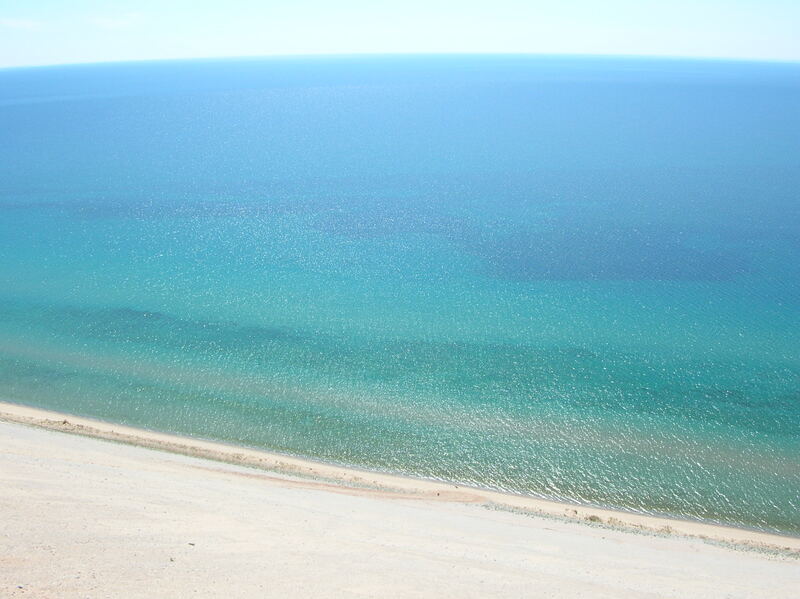 We’ve been to Sleeping Bear Dunes. It is, without doubt, one of the most beautiful places I’ve ever been. The water in the Great Lakes is spectacular (unless the storms of November come calling – but that’s for a later blog about the ‘Edmund Fitzgerald’ – cue Gordon Lightfoot). It resembles or surpasses some of the clearest water I’ve seen in the Caribbean. Now, as for warm…it is NOT. The boardwalk is a great way to see the Dunes. It’s also a good way to see the Manitou Islands and the Manitou Passage. The Passage was a busy corridor for commercial shipping in the 1800s. 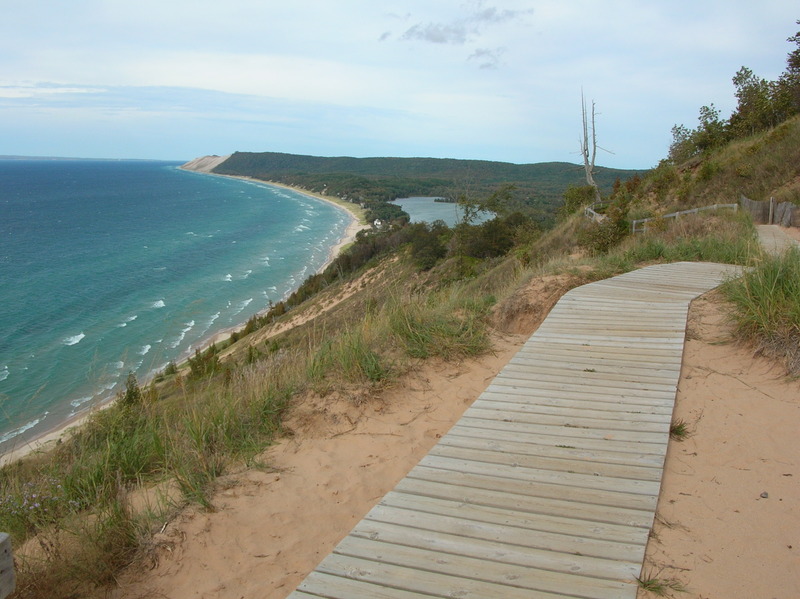 The whole area comes from the Native American Legend of Sleeping Bear (WARNING: it’s a sad legend). 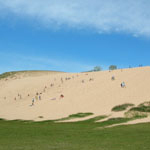 Intrepid visitors can attempt ‘The Dune Climb’. This is NOT for the faint of heart (or legs, lungs, or any other body part). Kids seem to excel. Of course, this is just the biggest sandbox they’ve ever seen. It’s great fun just watching people attempt the climb. The other great way to see the Dunes is from the water. 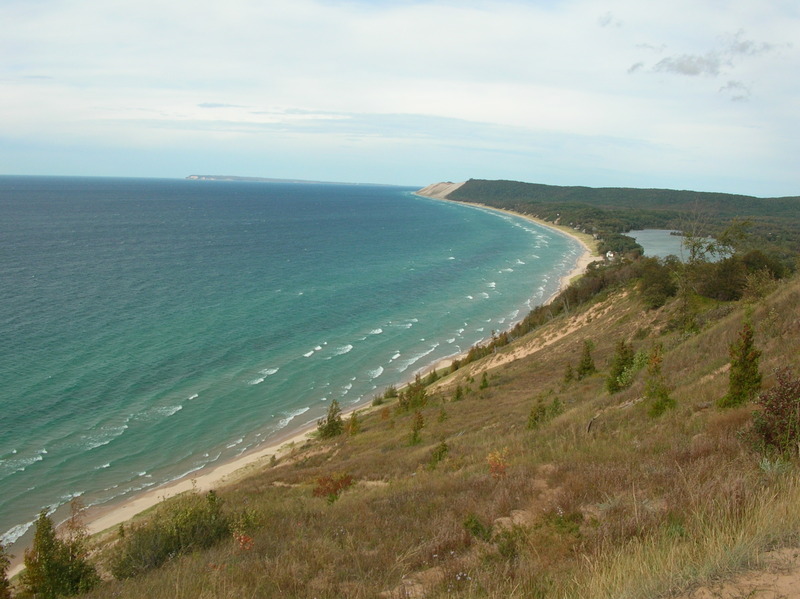 The shoreline of Michigan is magnificent. Canoes, kayaks and tubes are available through private rental in the area. The Great Lakes also has some terrific fishing (more on this in a later blog). However, if you’re thinking about going fishing, a side trip up the coast around the Dunes would afford you some terrific views of the area. 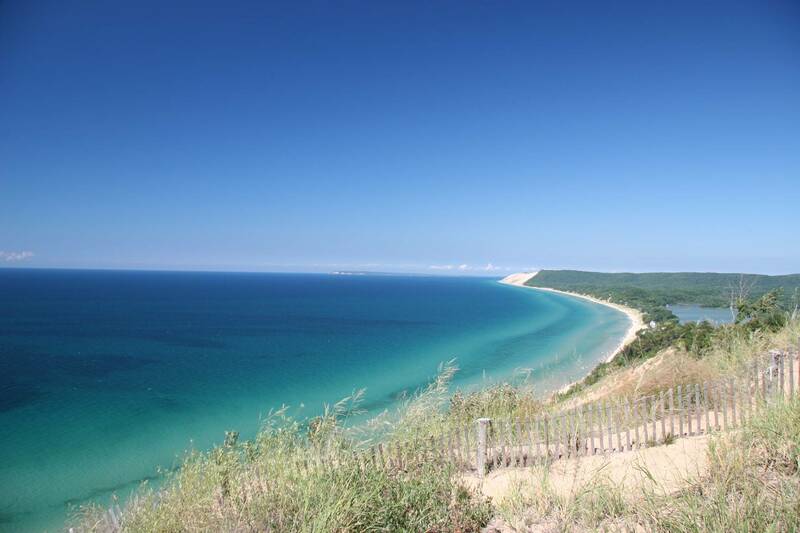 Would you like a link to Sleeping Bear Dunes National Lakeshore? Here it is! 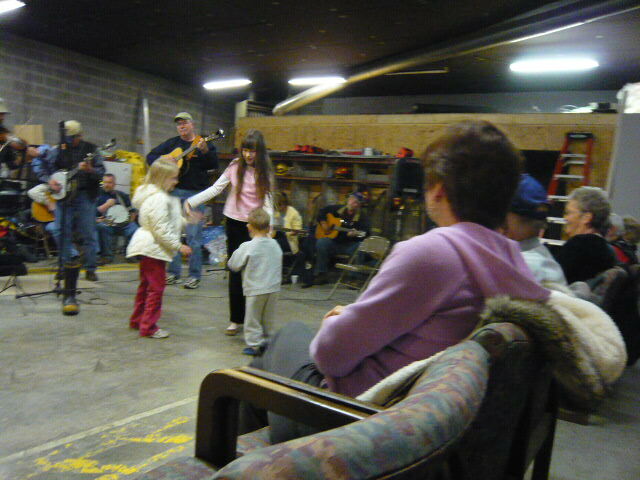 Where does one go to listen to some good bluegrass music? The Del McCoury band isn’t in town. Neither are Dailey and Vincent, Pine Mountain Railroad, Ricky Scaggs, the Grascals, or Rhonda Vincent and the Rage. 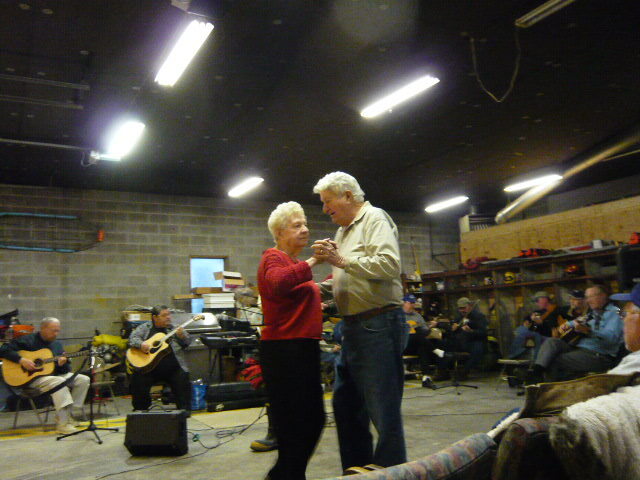 Find your local bluegrass jam, pull up a chair, and enjoy. You don’t even need a “Ball” jar. 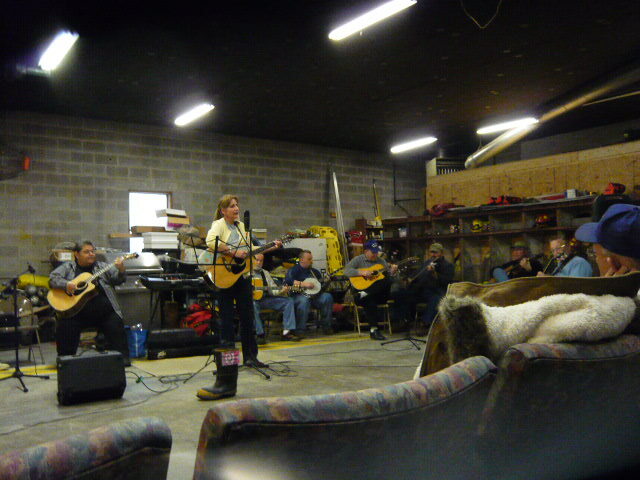 (In this case by “jam” I mean a loose association of musicians who get together to play and enjoy music and camaraderie.) Now, I’m not saying that all jams are equal. Some are definitely more accomplished than others, but they are all fun. We started going to jams when Jim re-found his interest in guitar. Bluegrass is his music of choice. 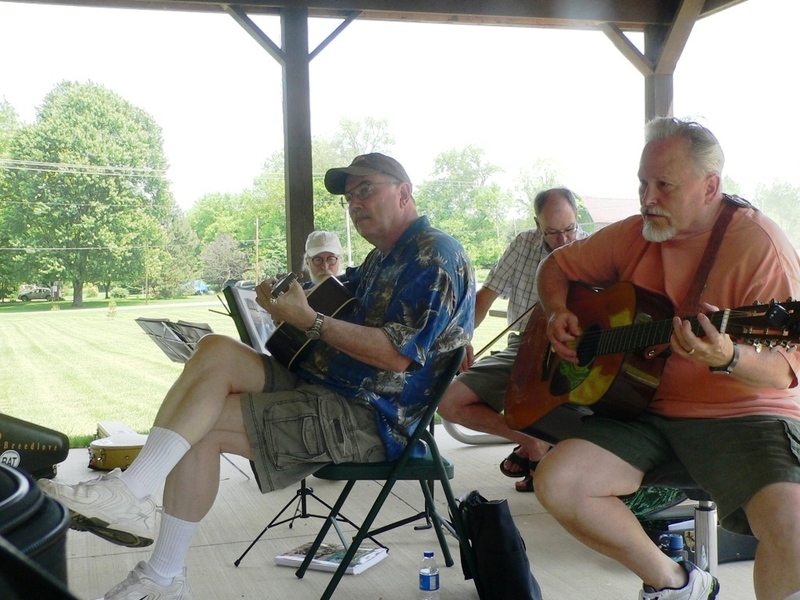 We found that our Tennessee neighbors (we hope to build and retire there someday) get together on the Fourth of July and play lots of different kinds of music – some of which is bluegrass. There are all manner of jams in east Tennessee. 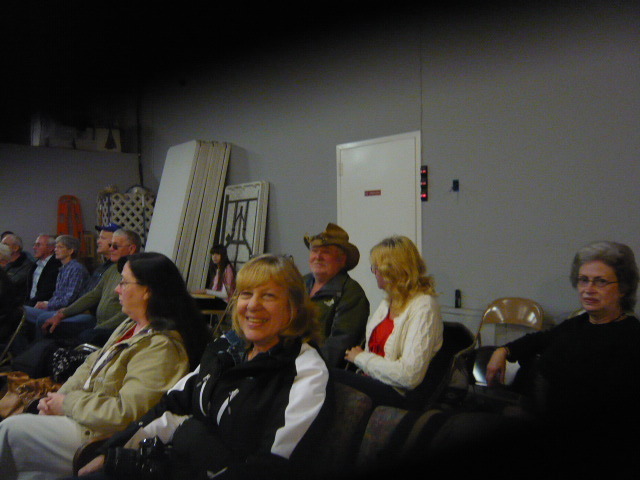 Some are regularly scheduled, but many others are spur-of-the-moment gatherings of friends. 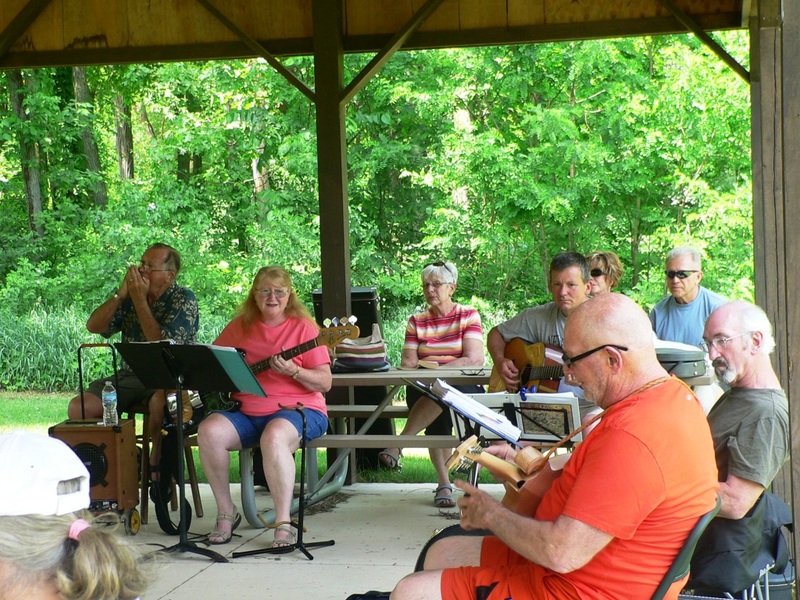 It’s easy to find a place to play when there; check out local firehouses, ask at music stores, or follow your ears to the garage of a local home. Where would we find like-minded folks in Michigan? Seems all we had to do was check local town newspapers and the Internet. We’ve been lucky enough to find several “jams” in our local area. Two are in church buildings, one is at a government building, and one is at a township park. There are also several regular jams within driving distance. 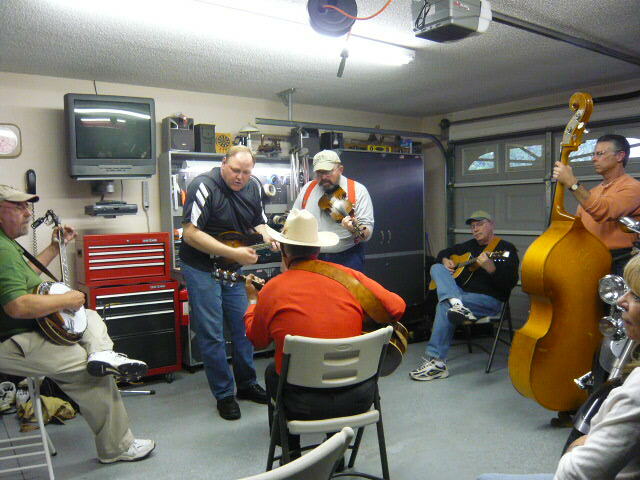 No matter where you are, you should be able to enjoy a bluegrass jam. They’re fun for kids of all ages. From the tiniest of tykes to oldsters who are young at heart (and in their feet). Check it out! You may just find that you’ll be a fan, too. Many of you know this story, but far more of you don’t so…here goes! In 2003, Northwest Airlines closed their maintenance facility in Atlanta, GA. Why does this matter? Well, you see…Jim worked for Northwest. We had options as to where we could move, but the two “best” (where we could go without having to move again in short order) were Minneapolis and Detroit. Since Jim grew up in Detroit and still has family here, Detroit was the obvious answer. That’s how this southern gal got moved to the Midwest. 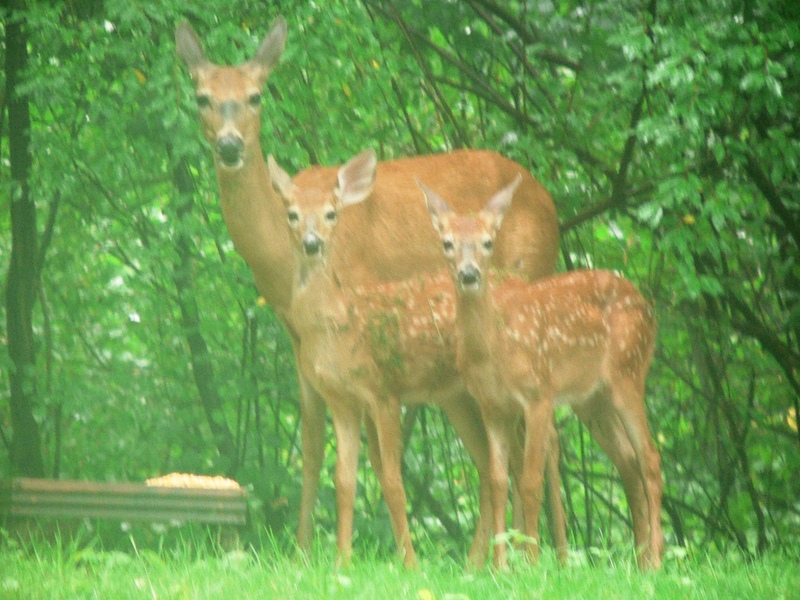 Over the years, Momma Doe (real original, I know) has brought her babies through the yard. Most of her babies have brought babies, and so on. We probably have at least four generations worth of moms and babies coming and going through our yard. There have been occasions where there’s been as many as nine deer in the yard at the same time. 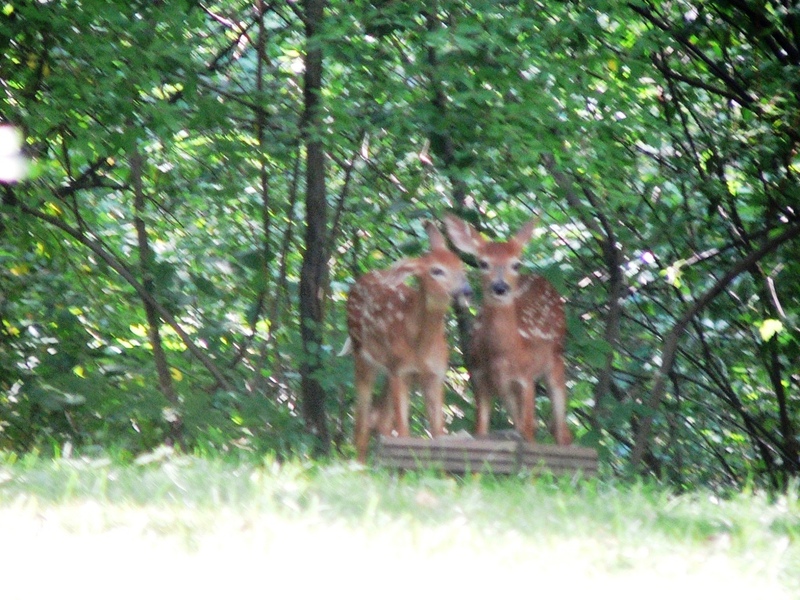 I’ve named several of the girls (and the boys, too, but we usually only catch glimpses of the bucks in the dusk or in the houselights at night). The tamest of them, thus far, is Zoe (yep, there’s that creativity again)! Zoe has her first brood this year. Zoe will let me get within about 7 feet of her while she just stands. She is teaching her little ones to not be afraid. I’ve learned that twins are the rule rather than the exception. 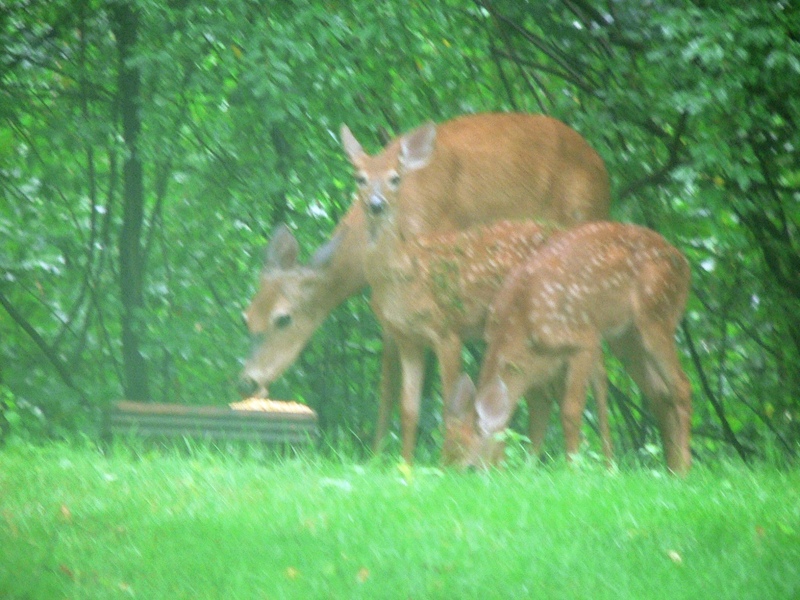 Our area has had plentiful rain and lots of forage over the years, so most of the babies have been twins. Since I can’t get close enough to tell, yet, whether they are boys or girls, I try to use names that could be appropriate for either. Zoe’s kids are “Peanut” and “Popcorn.” The first photos are when they had started visiting with their mom (about 6 weeks ago). These photos were just taken on Saturday (Aug. 6). As you can see, they’ve grown taller and their spots are much fainter. I’m guessing that Popcorn (the larger) may end up being a boy. If so, I’ll just start calling him “Pops.” Pops has obviously been running through the woods as evidenced by the fact that he’s absolutely covered in seeds and burrs. Peanut is more diminutive and also a little less bold. I think you can see that in the photos. 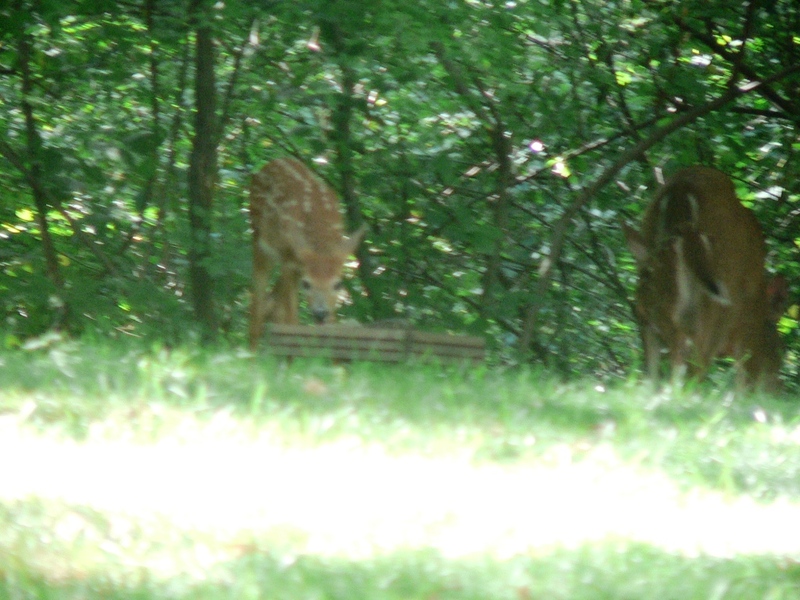 It really amazes me how much fawns remind me of foals. They are both precocious and stand and run very early. They also bend their legs in crazy angles so they can get to the grass. They all look so delicate, yet they somehow manage to grow and thrive. It’s wonderful to have little faces in the yard. I look forward to the new crop every year (just like I used to with horses). I’ve enjoyed sharing my photos with you. Do you have a deer story to share? Do you have little faces in your yard, too? If you’re reading this in email, click on the title! It will take you directly to the blog (an easier viewing page.) If you’re already in my blog, WELCOME! I love this time of year. No, it’s not the heat and humidity that I enjoy, it’s the evenings! 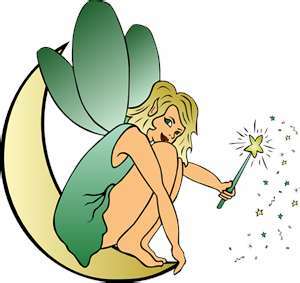 As long as I can remember, I’ve loved summer evenings for one specific reason – fairies! There are fairies in my garden! 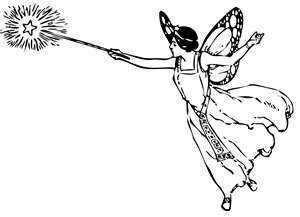 One of my earliest memories is my “aunt” Jean (my mother’s, cousin’s wife – hence the need to call her “Aunt”) telling me that the little flying lights that started up just around dark were fairies. I spent so many summer nights in North Carolina with my friend, Zana Avis, running around chasing fairies. Even after I knew that they were fireflies, I thought of them as fairies. I don’t remember there being many fireflies in Florida when I was growing up. They seemed to be part of my North Carolina/Tennessee summers. Even in Georgia for the twenty-odd years I lived there, fireflies were scarce. Now, here I am in Michigan, and there are fireflies everywhere at night. I suppose we have so many because we’re in the woods. Starting around the fourth of July, the yard, the bushes, the trees and the sky are full of sparkling lights. It’s almost as though they start celebrating the same time we celebrate our American independence. Every time I see my yard full of light, I remember my wonderful Aunt Jean (God rest her) and those innocent summers so long ago when there were fairies. So, what do you call them? Fairies? Fireflies? Lightning Bugs? Do you have them in your yard? We did it! We brought home a Bear! 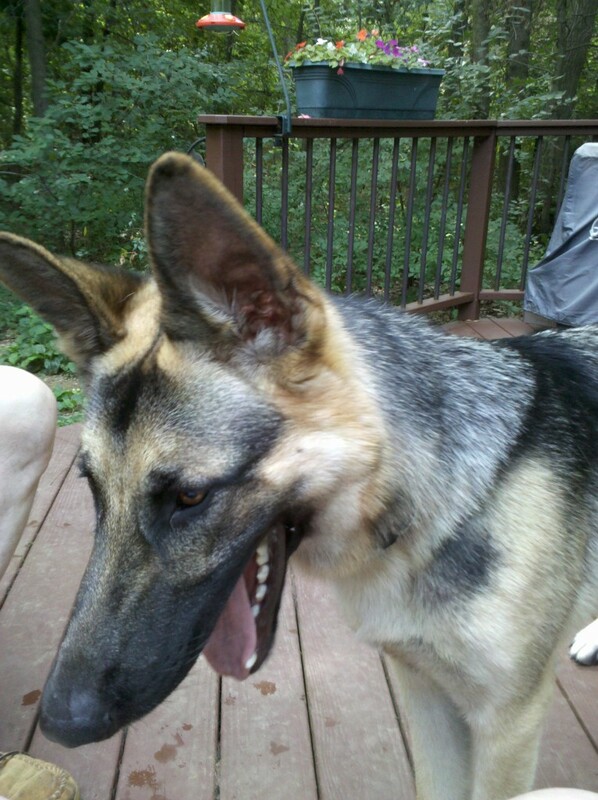 Bear is the newest member of our family. 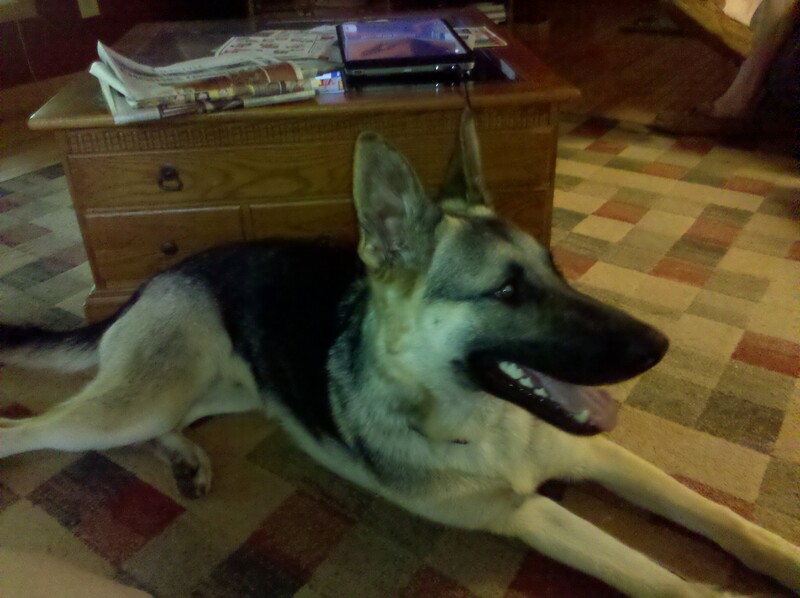 He will be a whole year old on August 6. He’s a gorgeous boy who is going to be big – no, I mean BIG!!! He’s already taller than Sidney. If he grows in to his feet and ears, he’s going to be something else, indeed! Bear came from a loving home. His former family didn’t have time to continue working with a puppy and take care of three young children (8, 4, and 2). We’ve had the luxury of meeting Jennifer, Jake and Ella (Bear’s former mom, dad, and one of his girls). They are remarkable people. It’s so obvious that they love Bear. I can tell (after meeting them) why he’s such a sweet boy. This is the same kind of home that our Chief came from. People who love their dogs but, for whatever reason, can’t continue to have them in their home and contact a rescue organization are the dream of folks like us who always adopt from rescue. Bear stayed with his family until we found each other. They were willing to keep Bear with them (and love him) until they were comfortable that a happy home with lots of love could be found for him. Too many dogs don’t have loving homes to begin with nor do they end up in happy homes through rescue. Bear is still a puppy and has much to learn about how to get along in our home. He’s a quick learner. At first, we had issues with him jumping up on us and being very mouthy. Mind you, he didn’t bite aggressively, he just liked to grab hold of your arms, hands, ankles, etc. with his mouth to get attention. Basically, he was testing his boundaries. He has learned pretty well (in only a week) that his boundaries do not include such actions. 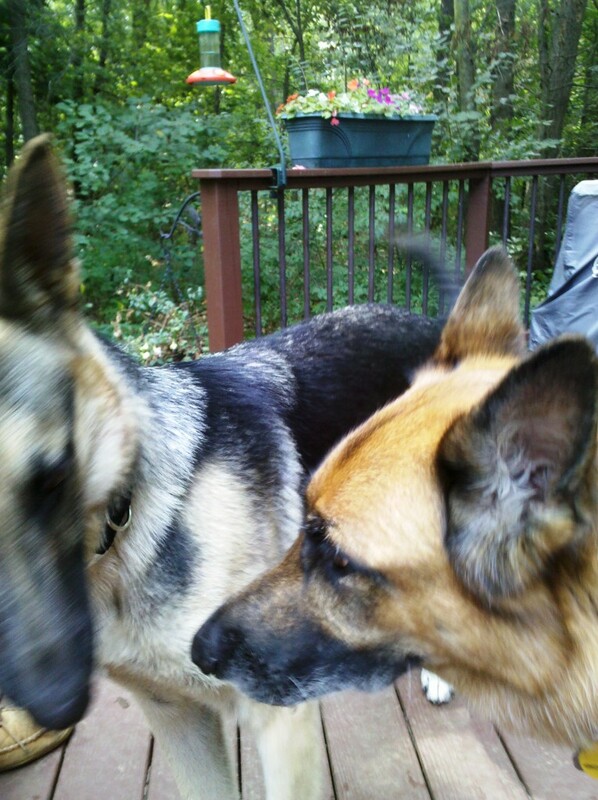 He and Sydney have started to forge a bond which will be good for both of them. It’s so much fun to watch Syd in the yard! She has a shadow (a larger, thinner shadow) in her wake. She is definitely the boss! Bear could teach Sydney his manners on the leash! He’s graduated as a “Star Puppy” from AKC puppy class and has done some intermediate obedience training. I must really commend his former family for taking him through that training. As he is such a large puppy, it could have been very difficult to work with him if he had not gotten good, early education. You will, undoubtedly, be hearing more about Bear. I will share his progress as it’s wonderful to be able to share the fun. We’re learning right along with him. I’m going to get on my soapbox (just a little) again, I can’t stress firmly enough how wonderful it is to get a dog through rescue. There are so many needing homes. If you are interested in a particular breed, there are breed-specific rescues. There are various on-line sources, as well as your local humane societies. 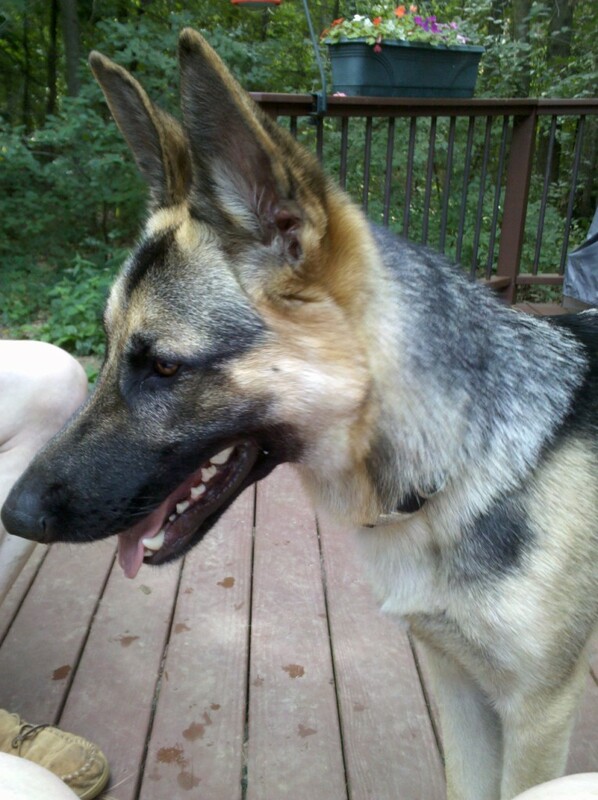 Rescue organizations can tell you more about your prospective family member. But never fear, the rescue groups get most of their new pups from local shelters. Any path you decide to follow with adoption, you’re saving a life. It’s all good! Would you like to subscribe to my blog? (Oh, yes, it’s free!) If you have already clicked on the title and are now directly in my blog page, go to the bottom left hand portion of the page. If you have not gotten to the blog page, click on the title of the Posting and it will take you to the blog. That’s okay, we’ll wait! Below the “Leave a Reply” area, you will see two checkboxes. The “Notify me of new posts via email” will take you through the steps to subscribe.